You can’t trust Enagic Kangen Water® because the people selling the Kangen water® machine don’t understand the science behind it. Kangen water® is sold using widely debunked claims such as water being “microclustered” and “Hexagonal”. An understanding of basic chemistry is essential to explain the very complex chemical reactions that occur in a water ionizer. Do you really want to trust your health to snake oil salesmen? Failure to understand chemistry and physics has consequences: Kangen® reps often fail to warn their customers of the danger of hypochlorite contamination that can occur if you make “strong” Kangen water® with the machine and don’t flush it adequately. Strong Kangen water is made with the Kangen machine and a saltwater additive. Enagic® scams their customers by telling them that you can only use their saltwater additive, but that isn’t true. You can use any salt to make strong Kangen water as long as it doesn’t contain iodine. Iodine will damage a water ionizer’s plates by combining with the titanium under the ionizer plate’s platinum coating. That causes the platinum to peel off the titanium plates. When you make strong Kangen water®, you are making chlorine. When Strong Kangen water® has a pH of below 5, it releases chlorine gas! Worse yet, if you don’t completely flush the Kangen machine after making strong Kangen water, it could become contaminated with chlorinated salt water residue. 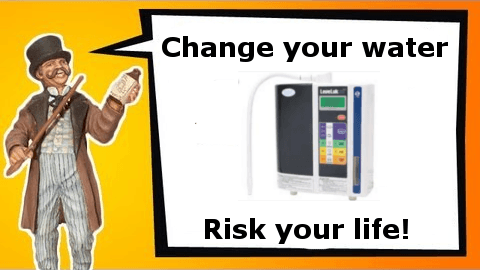 If you use a contaminated kangen® machine to make drinking water, it will convert the chlorine into hypochlorite. At a neutral pH, it will convert the chlorine into hypochlorous acid. You should never make chlorine with a drinking water machine. Life Ionizers has experts on staff that understands the complex chemical processes that happen when you ionize water. Life Ionizers has experts that can set up commercial chlorination systems, drinking water plants, and other large-scale uses of ionized water. Life’s staff expertise means we can – and do – check your water quality report. 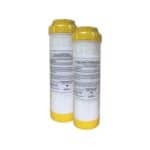 If we find contaminant or chemicals of concern, we give you a Free pre-filter to deal with them. 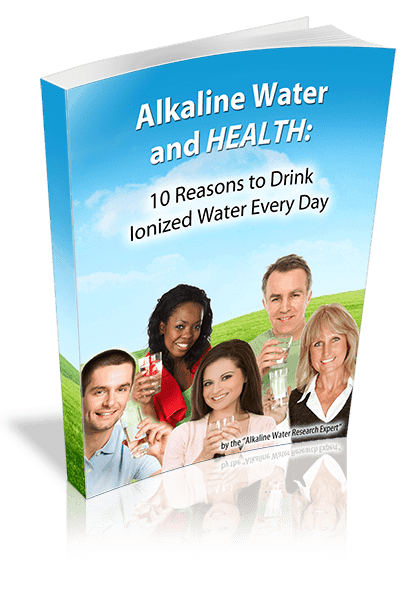 The quality of the alkaline water you get from a water ionizer has everything to do with the quality of the filtration your machine has. *Enagic may have Doctors available that understands some of the above. We’d like to hear from them. As you can see, Life Ionizers has experts on staff that can help you with any needs you have. Want to start an alkaline water bottling plant? We have you covered. Need a chlorination system for commercial mold remediation businesses? We have those too. 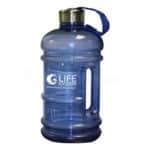 Want a great alkaline water machine for healthy drinking water? We will connect you with the right machine and the right filtration because we know how. 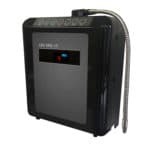 Life Ionizers has water ionization experts with over 30 years of residential and commercial experience, Enagic has multi-level marketers. Who would you rather trust your health with? Compare Kangen to Life, you will save thousands! Get Expert advice and answers to all your questions by calling us today at 877-959-7977.